Banks maximizing mortgage penalties again… but there’s a bright side.. In case you haven’t heard, Fixed rates are up around 0.50% over the last 3 weeks. But the Banks haven’t increased their posted rates… How can that be?? And how does that affect you? The BIG SIX BANKS have played the rate guessing game for as long as I can remember.. This time, they’ve added another twist to ensure you will be paying those inflated penalties even longer.. By not increasing the posted rates, they ensure themselves any existing BANK customer will pay the same inflated penalties. You see, if you took a BIG SIX BANK fixed rate mortgage, and you had to exit your mortgage early for any reason.. let’s say you to sell your home, or you had to refinance early, your penalty is calculated using whatever discount they gave you. The bigger the discount, the bigger your penalty…get it? Record level of discounting equals record level penalties… click here to read more on how the penalties work. This is why you are seeing penalties in the $15,000, $20,000, $25,000 range and higher. 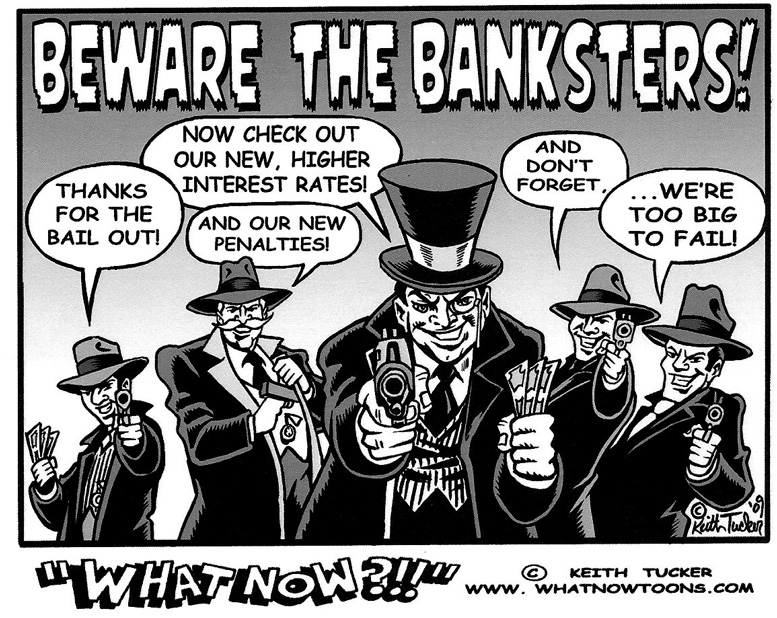 Maybe this will make BANK customers think twice about just taking the BANK medicine… maybe they’ll get a second opinion from an unbiased Mortgage Expert…You don’t need to pay any form of inflated penalty. There’s always been a better option. I’m still amazed at how many consumers think their local BANK branch is the best option… There are several other NON-BIG SIX BANK lenders offering superior mortgage products with superior terms and privileges including FAIR penalty calculations with incredibly competitive rates… usually better than the BIG SIX. Previous Previous post: When the U.S. sneezes, Canada gets a cold… I’m getting the sniffles…mortgage rates are headed up. Next Next post: Time to look at Variable Rates again. Just had to share this blog with you. One more reason it’s wise to talk to a Mortgage Broker when you need a Mortgage. There are so many options outside of the Big Banks. CanadaMortgageNews.ca Banks maximizing mortgage penalties again… but there’s a bright side..